How Superheroes Took Over | Warped Factor - Words in the Key of Geek. Maria Jasmine explores the current superhero phenomenon. 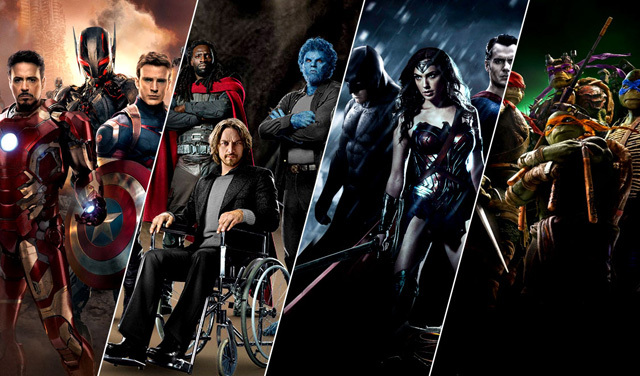 Since the days of black and white talkies, superhero movies have been popular. From daring but conventional humans like Zorro to heroes with superhuman abilities like The Shadow or Captain Marvel, audiences have been cheering on these masked crusaders for over 70 years. As popular as they were in the past, today these white knights are living through a golden age almost without parallel. From television and web series to major blockbuster films, there is new superhero content emerging literally every week. Like a boulder rolling downhill, the takeover by this genre started slowly but has quickly gained momentum. The real question is, why? There are a few reasons, but most notably, the audience simply expanded. More and more women read comics, play video games, and are enthusiastic fans of the various superhero sagas. It also became more popular to self-identify as a nerd and to embrace the comic book lifestyle, including Comic-Con and all the various games and toys that go with it. The original audience aged without losing their enthusiasm, while plenty of younger viewers joined the party and caught up with the older stories. What used to be a genre aimed solely at young men is now truly one for everyone. Genius marketing and cross promotion didn't hurt either. 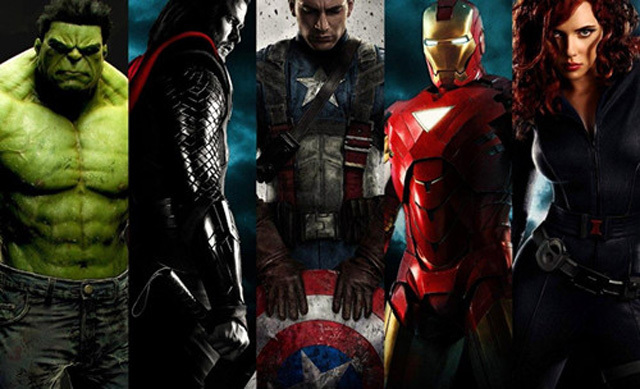 The Avengers movies, for example, have spawned TV shows, web series, and additional single-character movies, all which link back to the original franchise. A fan of the Avengers films has likely watched Agents of Shield on television, and the Iron Man and Thor movies at the cinemas. Films like those in the X-Men franchise now have video games, as well as clothing and toys. Commercials for entirely unrelated products hype the various franchises even further, and each time a new show or movie is ready to premiere there are billboards and posters everywhere. 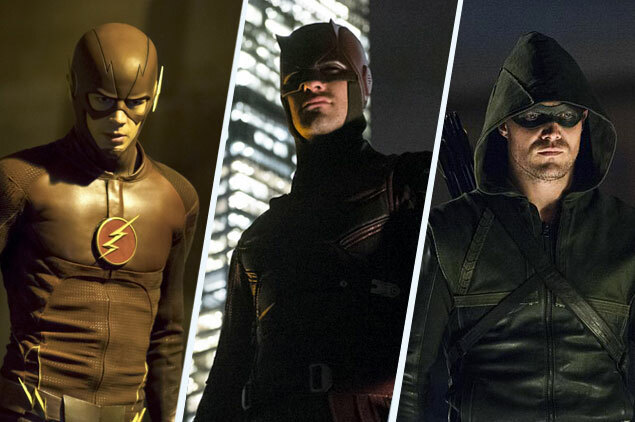 Not only are these superhero shows dominating network television with The Flash and Arrow on the CW and Gotham on FOX (also on demand via Xfinity and DirecTV), but they have recently moved onto streaming platforms like Netflix and Hulu as well. With more freedom, shows like Netflix’s Daredevil and Jessica Jones are more adult-oriented and feature more violence in comparison to their TV counterparts and have notably topped a number of end-of-the-year lists. With the advent of the internet, fans have an easier time finding each other and interacting as well. Fan fiction of all types litter the web and forums where various characters and battles are painstakingly analyzed and criticized can be easily found. Speculating as to how closely films will adhere to the original comics is a sport in and of itself. Whereas before a fan of Superman might have gone years between movies without anyone with which to share their obsession, now the fires of fandom never have to go out. Not that it's all sunshine and roses for fans of superheroes. There are plenty of complaints from film lovers that these new series are heavy on special effects and light on real plot. They also are clearly unrealistic, not simply because of the powers the characters hold but because there is almost always a happy ending, something not often found in real life. But on the contrary, these superhero TV shows provide a deeper and more detailed look into each hero’s story, something not available in feature length films. Take Smallville for example where fans are able to see the struggle behind Clark Kent’s venture into becoming Superman, or Marvel’s Agents of S.H.I.E.L.D that gave fans a new perspective of the Avengers universe. It seems that, as usual, the superheroes will prevail. 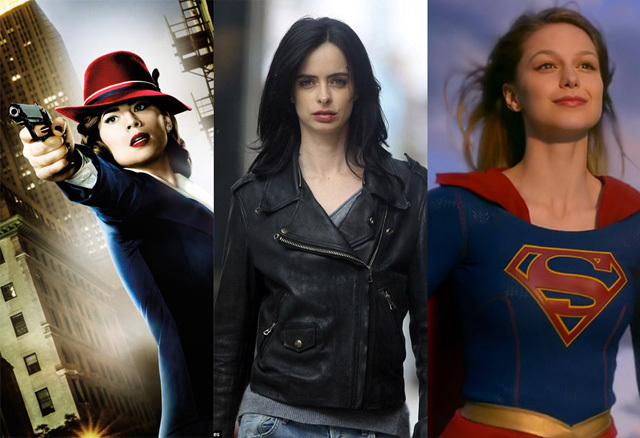 Some of the newer shows - such as Jessica Jones - address the criticism and redefine the definition of what a superhero looks like, not to mention positively touching on more serious issues of PTSD. The fan base continues to grow, and new shows based on lesser known comics continue to emerge, including those aired through online platforms that are serious competitors of those on network television. While a decade from now we may be wondering where all the superheroes went, for now they are more firmly entrenched than ever before.